I don't think there is a better way to scroll through this review than to also listen to the song above because seriously, it's all about the feels and the amazing thought that you can achieve something as long as you put your heart to it. "It takes a special kind of plane to become a firefighter." To be honest, I had least expected to catch Planes: Fire & Rescue with the reason being that I never caught the first one that was aptly just called Planes. While it did get my attention when the trailers came on screen during other movies, going for the premiere screening just wasn't in my mind until a surprise e-mail came from ChurpChurp telling me that I had won the #ChurpremiereVIP Tweet Review Giveaway on Twitter and I was given a pair of tickets to catch the movie...VIP style. Now, onto the movie. I was glad that it didn't seem to have a lot of relation to the first movie (Or even if it did, I wouldn't have known...) because there were significant explanations as to who this Dusty Crophopper was and why he was so famous in the beginning. But like every other winner, there will come a day when something goes wrong and in the case of Crophopper, it was that his gearbox was failing. Sure, the best bet would have been to get it changed but the issue was that they had stopped producing it which meant that he couldn't get a switch; new or old. No parts for a plane? That's...the end I guess. Determined that he could still take flight and be a world champion, Crophopper decided to push his limits and fly again but when trouble came afloat, it was then when he finally realized he couldn't be selfish. Then again, this is a Disney movie where everything is about a lesson learned and what Planes: Fire & Rescue taught me was courage. It wasn't just courage to let go of what you used to be but also courage to fight your inner battles; your voice inside that tells you to just believe. The soundtracks used in each scene brings out a different kind of setting to the run times, so much so I didn't even want to get to the end of the short 1 and a half hour movie. And when you believe, magic happens. My verdict of the movie is that I absolutely loved it. 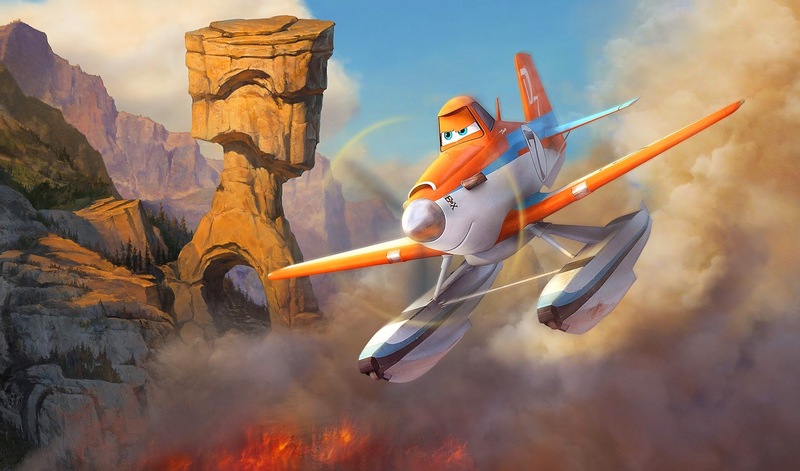 Granted, I do enjoy animated movies a lot with the likes of The Lion King, and Pocahontas being my top picks but Planes: Fire & Rescue in some ways did make me rethink life's situation. While to children below the age of 12 it may just be a film with cool planes fighting fire and chilling in bars, I do think the likes of others will understand the meaning it hides underneath. I would definitely throw a 7/10 on my personal scale of movie enjoyment with points taken off for minor details such as how it's not as intricate as films by DreamWorks (Cue examples like Monsters University!) and the casting of who voiced the character Dipper. I couldn't stand her voice, I'm sorry. Currently, YouTube plays the entire Planes: Fire & Rescue soundtrack for me on loop because I can't quite get over how meaningful each song has become. It's hopeful, it's encouraging and most of all, it is extremely pleasing to the ear. 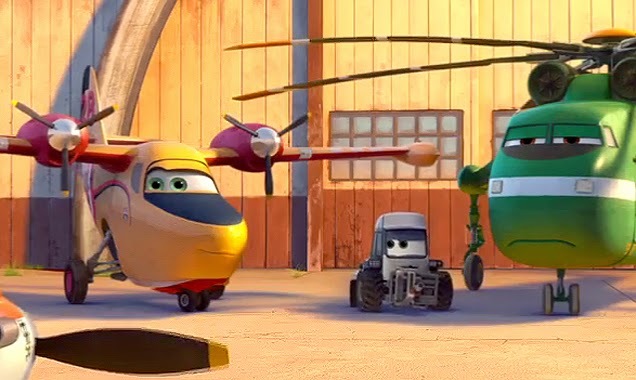 If you're looking for a short animation to catch up on your needs for non-human acts, you should definitely put Planes: Fire & Rescue into your list. Because how else will you be a hero and fly in? 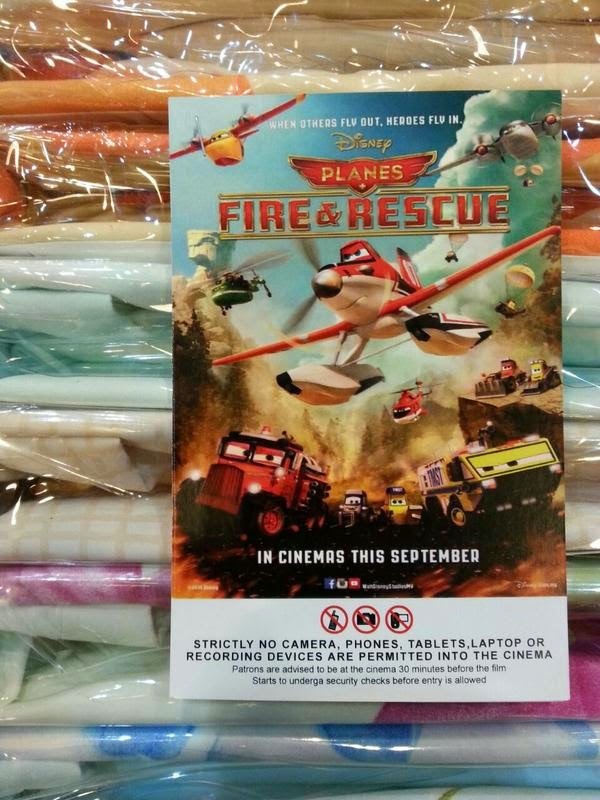 Planes: Fire & Rescue has been a movie dedicated to all firefighters, be it current or the fallen. Thank you all for risking your lives in order to save ours. I hope you are all flying high wherever you may be.